I've wanted to tell you guys that for the last five years. And WOW, it feels good to finally say it. My son James was born eight and a half years ago, a planned homebirth. Everything was beautiful and perfect until James was born lifeless. Not able to find a pulse, my midwife began CPR; Travis performed an emergency baptism; our friend called 911; and I sat in a state of shock, repeating "Fulton Sheen" in my head, unsure of how to pray for my son and therefore calling on my friend and James Fulton's patron to pray. James was taken to the hospital and when the ED team stopped working on him to call time of death his heart started again - 148 beats / minute. He had been without a pulse for 61 minutes. The doctors expected massive organ failure or, at best, for James to be very severely disabled. But we continued to pray, begging God for a miracle and asking Archbishop Sheen to pray for a miracle, too. And by the time he was one year old it was obvious that James would not only survive but that there would be no significant residual damage from that hour he was dead. 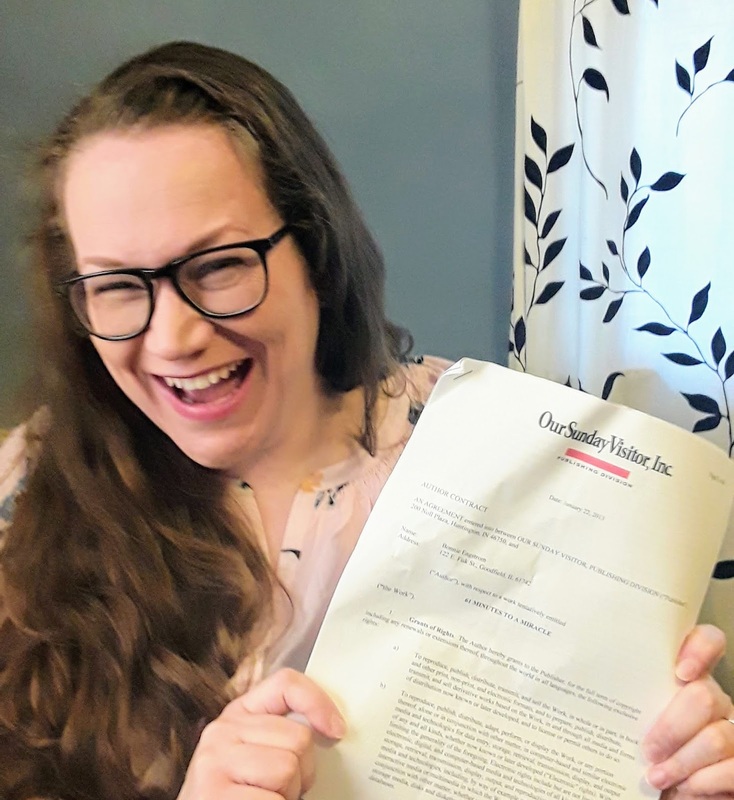 The Sheen Foundation and Diocese of Peoria held a tribunal to investigate our alleged miracle and it was submitted to the Congregation for the Causes of Saints for Venerable Sheen's beatification. Almost six years ago I signed a contract with Our Sunday Visitor to write this book. We did things privately, wanting to be respectful of the Church and Sheen's cause. And when the cause came to a pause we set the completed book aside. We waited and hoped and prayed. Over the years we discussed if now was the right time, but it never was. I'm not sure what will happen next with the cause but in the end we decided that James' story is a powerful one and it brings glory to God. So I found my old manuscript, cleaned it up, brought it up to date, and resubmitted it to OSV. I just got it back from my editor, ready for my revisions. The book will be released in late August or early September and will be available for pre-order at the end of the school year. Over the years many of you have reached out online or spoken with me after a talk and asked "When will you write a book?" I always wanted to say, "I HAVE!" and now I finally can. I will keep you posted with the title, cover, and all the details. I have wanted to share this excitement with you because - and I mean this so very sincerely - so many of you are a part of this book. You prayed for James. You also asked God for a miracle. You sent our family meals, gift cards, prayers, and cash. You carried us when we could barely keep our heads above water. Travis and I have never forgotten that and we never will. Thank you for your love and support over the years and right now. When Travis and I share James story we always want it to first and foremost bring glory and honor to God. We want it to also inspire people to befriend Fulton Sheen so that his holy witness will bring them closer to Christ. We want it to give people hope. We hope that this book does that for you. We're getting ready for Lent here. All the hearts and garlands and twinkle lights are put up. Surfaces are dusted. The last of the ice cream is being consumed. We've begun to discuss, as a family, what we will do for Lent - the sacrifices and the extra works. 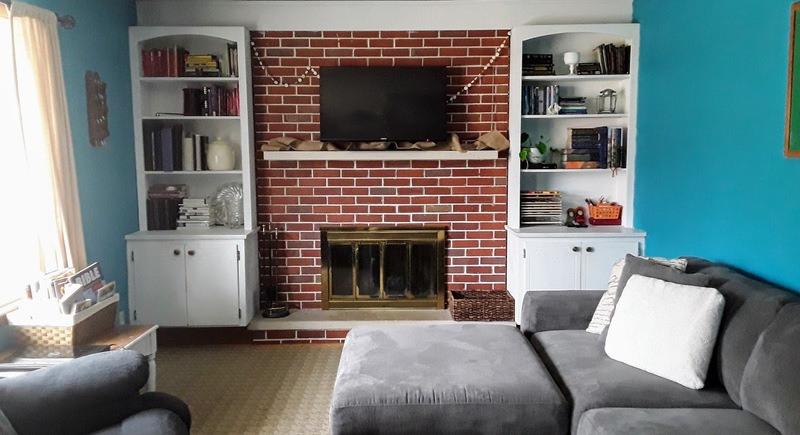 There's burlap on our mantle because it looks like sackcloth (maybe? I have no idea what sackcloth looks like) and because I need something up there to cover those unsightly wires. We've got some plans. Personally I plan to read The Life of Christ. And by "read" I mean start it and keep reading well into Ordinary Time. Let's be real here. 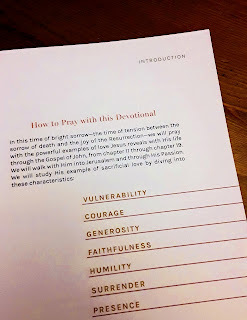 I'm also looking forward to using the Blessed Is She Lenten devotional To the End. Having skimmed through it already I think it will be really good. Usually the kids do our standard Lenten calendar from Catholic Icing. We might just do one this year instead of everyone getting their own, but we need at least one so I don't have to answer multiple times every day for 40 days "how many days until Easter?" Seriously. I've been building this Lenten Spotify playlist and hope to add to it as I stumble upon more songs - so do tell me if I'm missing something. 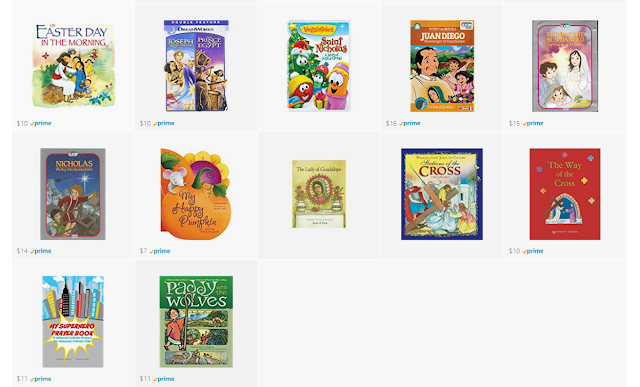 In the past we've only allowed religious or PBS Kids shows and Christian music during Lent. I don't think we'll do that this year, but we'll see. Since we usually do not eat meat on all Fridays of the year I like to add meatless Wednesdays to the Lenten meal plan. Those few extra dollars I save each week are then donated to Catholic Charities or our local parish at the end of Lent. In the past we've encouraged our kids to forgo different treats and purchases during Lent to add to that collection and that's worked really well. We also usually incorporate the Stations of the Cross into our night time prayer. We tend to do it a couple times a week, using the Stations of the Cross Box I made years ago. The kids love it and I know that it's done a lot to make the actual Stations more meaningful. The kids pray the Stations every Friday after the School Mass and we attend our parish or Cathedral's Stations as a family at least once each Lent. This small catechesis, done sitting on the floor with my kids digging through a box, has been a great way to teach even my youngest kids the responses while also helping them to understand the story of Christ's Passion and feel sorrow and compassion for Him. I explained how we do the Box here, but I first heard about it from Kate Wicker and I'm so glad she shared it. But you know what, you guys? I'll be 38 in a few months. I have seven kids age ten and under. I'm 30 weeks pregnant. I'M TIRED. If that rickety old grapevine wreath and a couple meatless meals each week is all I do I'm good with that. I have a feeling that God wants this Lent to be more interior this year than exterior. One of the talks that I give is on liturgical living, and it's a favorite topic of mine to talk about. I think our Catholic faith is so beautiful and joyful and even, at times, quirky and I love sharing it with others through the seasons and everyday life. When I present this particular talk I am sure to share lots of examples of ways our family celebrates throughout the liturgical year, along with examples of what our friends do. I also stress what a beautiful, easy tool liturgical living can be for parents and grandparents who are trying to evangelize and form their children, especially when it's done in a way that makes sense for each particular family's home culture, interests, strengths, and season of life. Finally, I make sure everyone knows that because this work of building up the Kingdom of God is vitally important satan will attack it, because he's a jerk like that, so be ready. In my life books have been so helpful in sharing the faith with my kids and so when I gave this talk I brought some of my favorites to share with the audience. There was lots of note-taking and photo-snapping so people would remember the titles I had shared. But there were also so many books and DVDs I had to leave at home and I thought those should be shared, too, especially as my kids kept saying, "Oh I love this one! And this one! And this one!" So below is a fairly extensive list of books and other resources we use throughout the year. The seasonal books are stored with their corresponding decorations and then placed in our family book basket for the duration of the season. Some books are read on a daily or weekly basis throughout the year. Some books stay on the bookshelf in our living room for easy access. We have a ton of other books, too, but I don't need to include How the Grinch Stole Christmas here. I've divided the groups into books for kids, resources for parents / grandparents / teachers, Bibles, and DVDs. All the Amazon and Blessed Is She links are affiliate links, which means I receive a small payment at no cost to you when you purchase through my specific link. I have also built an Amazon page filled with these items so you can check them all out there, if you'd like. You can find that here. Also, if you'd like to bring me to your parish or event to speak I would love to! You can check out my speaking page and shoot me an email! "There is something in Catholic Church culture that insists kids belong in the sanctuary for Mass. I must say I don’t totally understand it, but it is definitely a Catholic thing. Part of the thinking is that sheer exposure to the service imbues them with grace and other good things in some kind of effortless and mindless sort of way. But if they can’t understand the readings and they cannot take Communion, it is unclear what they are 'receiving' Sacramentally." Today, our entire parochial school (pre-k4 - 8) braved the single digit temperature and headed over to the our church. They do this every Friday - rain, snow, blazing hot, or perfect weather - for the all school Mass. Parents and grandparents attend too, as do other parishioners, homeschooling families, and all the faculty. Each week a different grade from Kindergarten on up fills the various rolls. They hold open the doors and shake the hands of their classmates. They serve at the altar if old enough. They lector and cantor. They bring up the gifts and sing in the choir. The older kids sit with the pre-schoolers and kindergartners, showing them how to genuflect, pointing out the words of the songs, and helping them through the Mass. It takes a great deal of effort and mindfulness on the parts of the parents and teachers to prepare the students for Mass. The children know and understand that when in the Church and at Mass they are with Almighty God, their Lord and Savior Jesus Christ, who loves them tremendously. Surely to be in the presence of God, to hear His Word, to be part of the Church, to be welcomed in and actively serving at Mass means they are receiving something, even if it's not a Sacrament. "Another argument suggests that kids need to 'learn the Mass' and that can only happen through physical attendance. I liken it to bringing a toddler to a lecture or presentation intended for adults, because there is information you want your kids to have. Nobody would ever do that, because it obviously wouldn’t work. They must be introduced to the information in age appropriate ways if they are to learn. Everybody knows this, and yet we ignore it in church." We whisper explanations to our children at Mass. We help them make the sign of the cross over their forehead, lips, and heart. We explain how and why to genuflect. We point out the Eucharist and whisper praises to Jesus into our children's ears so they will learn to praise Him too. Sometimes my sons will mimic Father, noticing how he moves and holds his hands. I've seen them whisper the prayers under their breath, taking in every detail. I suppose we could do this by watching the Mass on television, but I have found that being there is so important. We read from a children's Bible at home and talk about our prayers, gestures, and faith. What they see and do at Mass builds on the foundation that has been started at home and at home we then build upon what they have seen and done at Mass. For example, at home they play with their Mass kits, donning dress-up vestments, swinging a stuffed inscensor, and reciting many of the prayers from memory. My sons even preach homilies about how much Jesus loves us. It is nothing like taking children to an adult-only lecture. It is using everything we have as the primary educators of our children to do our most important job: teach them to know and love God and to understand their faith. "To this end, I will sometimes see a Mom sitting in the very front row with her child. The front row so the kids can 'see the altar' (as if they’re looking ). Then, a tormented exercise is undertaken in which the kid, who can be distracted with Cheerios for only so long, becomes disruptive. In this exercise the parents are fighting a losing battle, and sometimes suffer the unkind, but understandably disapproving glances of the congregation." On Sundays we are one of those families who sits in the front row so our kids can see what's going on. Our children request it. We also sat in the front when we attended daily Mass almost every day last summer. Sometimes one of us will have to leave with an unruly child. Sometimes all the kids have to pee at once. Sometimes, but very rarely, we have gotten a disapproving glance. But mostly we have people tell us what a beautiful family we have. We've had strangers stop us to thank us for bringing our kids to Mass (and adoration). We've had countless adults tell us about their families of origin, or their kids, or their grandkids and what a joy it is for them to see us. 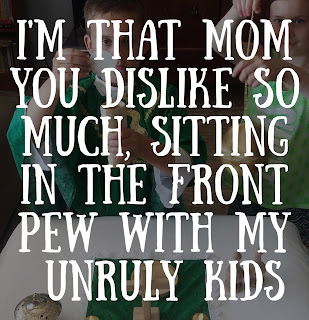 And when we've apologized to our priests for unruly kids our pastors have always told us not to worry, that they don't mind, that they love having kids at Mass. 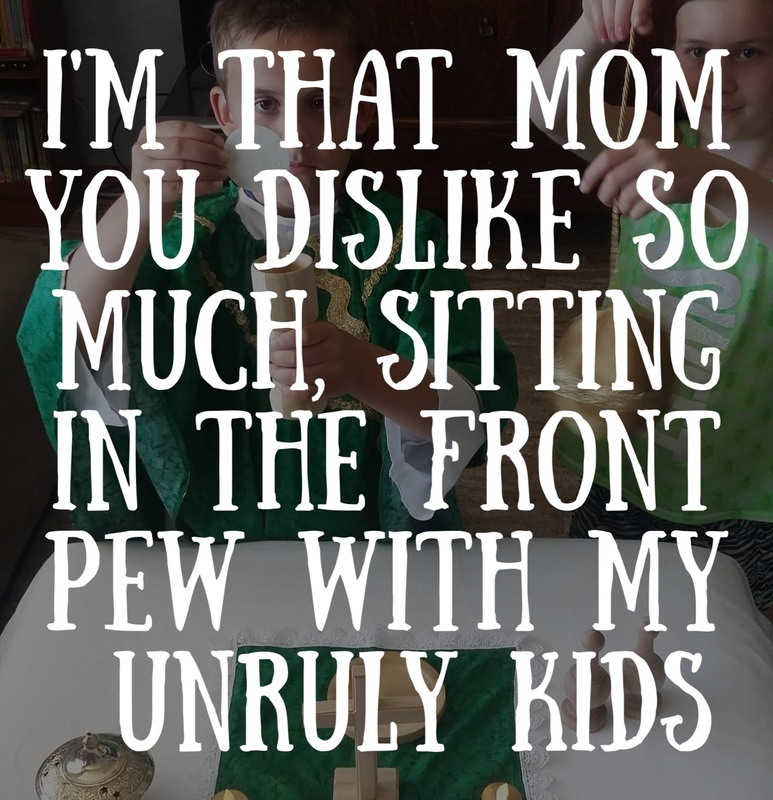 I don't understand a pastor who would publicly mock a mother for trying to involve her child in Mass instead of correcting his other parishioners for being unkind. I do know how hard it is to speak publicly when babies are crying (or cell phones go off, or people don't pay attention, etc) because all of that has happened to me as a public speaker. But I also know how hard it is to raise kids who want to go to Mass and I would be happy to explain that to any priest who can't even begin to imagine. "This Sunday brings one of my favorite readings from one of my favorite books of the Bible... 'Ezra the priest brought the law before the assembly,which consisted of men, women and those children old enough to understand.' Nehemiah 8 ... Notice that it says, “men women and children old enough to understand.” The little children and toddlers were not included because they couldn’t understand a long service intended for adults." Last summer, my in-going 3rd grade son was praying at daily Mass and he saw Jesus approach him, shake his hand, and "chit-chat" with him "for a little bit." Perhaps he would have had this same experience if he were weekly taken out of Sunday Mass for fun! age appropriate! well developed! children's programming, as they do at Church of the Nativity. I am sure that those children's programs are real blessings for a lot of families and they are working in the lives of those kids. But I cannot discredit what being quiet, still, and attentive at Mass has done for him or my other children or our family as a whole. I know that every child, every family, and every season of life is different. And I know that the quoted passages above are meant for a specific audience - the priest's parishioners, who should have an understanding of the standards and practices of their particular parish. I just wish the pastor of Church of the Nativity could find a way to understand that Mass can be a beautiful thing for people of all ages (it feels ridiculous that I even have to type that). I wish he would have been more careful when crafting his letter, staying away from perpetuating any thinking that belittles the beliefs, intentions, and practices of so many Catholic moms and dads who are very sincerely trying to do their best. Well ladies, it's here. 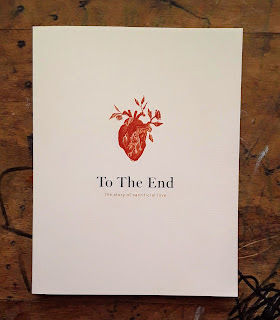 With Ash Wednesday just around the corner, Blessed Is She has released its Lenten devotional To The End: the story of sacrificial love. 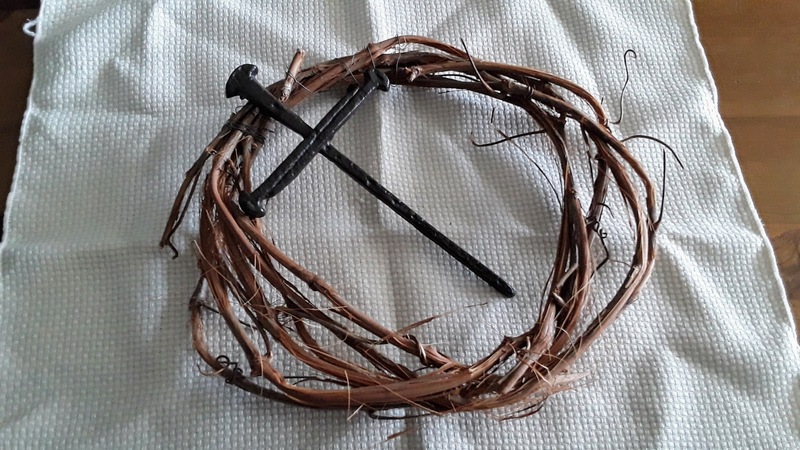 This beautiful devotional accompanies us through Lent by pondering and discussing the tension of the sorrow of the Cross and the joy of the Resurrection. It focuses on the Gospel of John and the sacrificial love of Christ. If you're a paid member there's a good chance you have already received your copy, but if you're not I invite you to head over to the BIS store and order yours now. 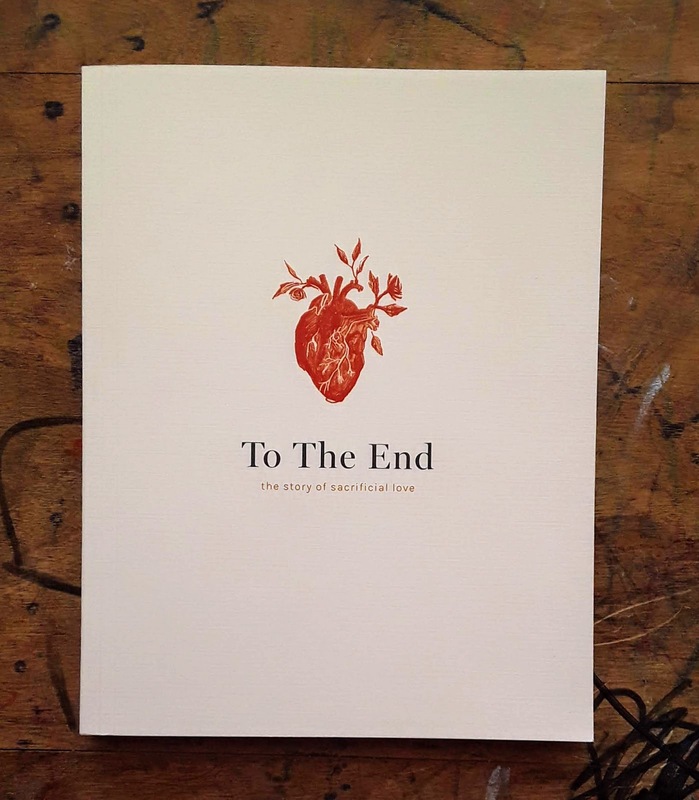 To The End was written by Jenna Guizar with co-authors Beth Davis and Nell O'Leary. 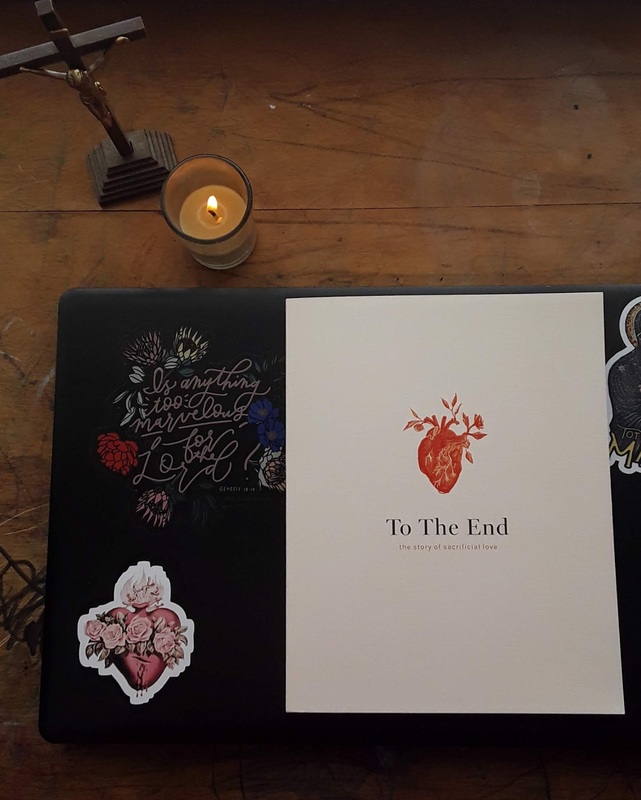 I've read ahead a bit and ladies, the essays are so beautiful, so vulnerable, so moving. I hope you'll come along and do this with me. Maybe we could even do a weekly chat about it on FB or IG? Let me know if you like that idea. And one last time, here's my affiliate link so you can read more about To The End and buy one for yourself. Our miracle baby made his first confession last night and it was incredibly special. His big brother helped him pick out some nice clothes. His older sister encouraged him. His godparents prayed for him. And when we came home he celebrated with a big bowl of sorbet and CocoWhip. JF has a few special needs and so his preparation looked a little bit different than what we did for our previous two children. We brainstormed with his tutor, our priest, and some good friends, including one whose adult son has special needs. Their insights were invaluable and along with having frequent conversations with JF about sin, mercy, prayer, and our relationship with God, we figured out ways to help him in his struggles with speech, reading, and anxiety. 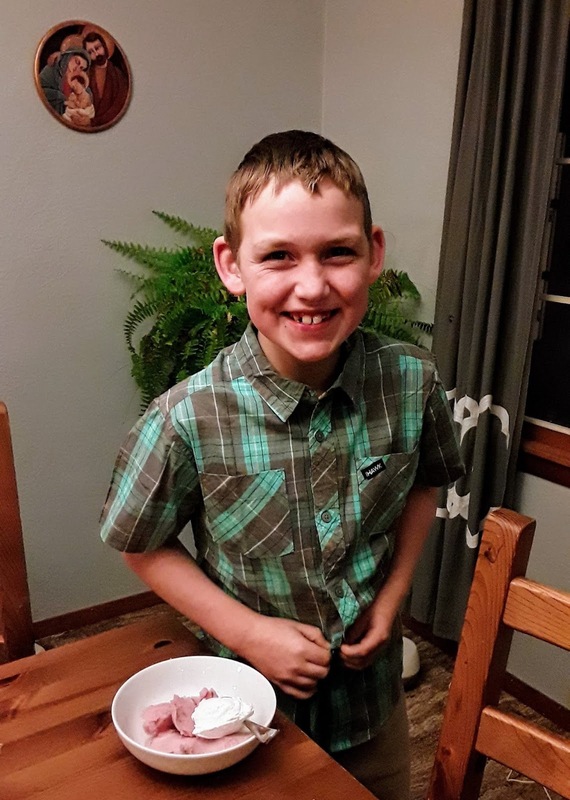 JF has been diagnosed with childhood apraxia of speech which can make it difficult for him to communicate, especially when he is tired or upset, and occasionally make him hard to understand. To help in that area we had our priest over for dinner last month. He and JF played card games, which allowed Father to get used to the way JF speaks and let JF feel more comfortable with Father. We were also afraid that James would be so nervous and anxious that he wouldn't be able to read or remember his list of sins. To help with that we took pictures of him acting out his sins and then made a small booklet. The booklet included not only the pictures, but captions that he or Father could read if need be, and on the back was the act of contrition. We used it as we practiced and JF took it with him to confession. This worked so well and I'm so grateful to my friend who suggested it to me. To help with his anxiety, Father heard JF's confession first and did so in the sacristy, where JF could see me right outside the door. You guys, it was beautiful. Father was amazing and James had an excellent experience. I wanted to share this with you all because sometimes we need reminders that good things are happening in this broken world, too. There those of us who not only believe but live out the fact that everyone has dignity, that God's grace and mercy are for everyone, that life is beautiful, and that in real life people are awesome. I started looking for my word of the year in Advent, wanting to start the liturgical new year with an idea of what God was planning for me. My word from Jen's generator came easily: fearless. It was the first one that popped up and it instantly felt right. My word from God did not come so easily but once it came I knew it was truly from Him: healing. It took me a month to find it but now that word seems inescapable. On Monday of this past week I dreamed* that Death came while I was sleeping, touched my womb, and took my child. 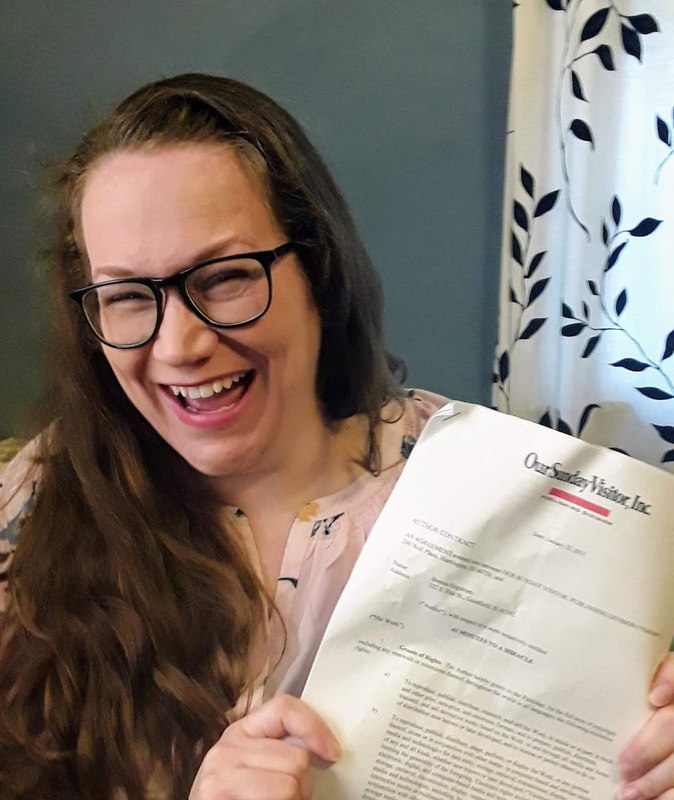 Two days later, at 21 weeks pregnant, the midwife could not find a heartbeat though she searched and pressed for at least five minutes. She left the room to arrange for a sonogram and I sobbed. Later, after a sono found a healthy, happy, living baby, I was talking to God about my fear and I heard Him. "I can heal that, too." On New Year's Day, the Solemnity of the Mother of God, the Second Reading was proclaimed: As proof that you are sons, God sent the Spirit of his Son into our hearts, crying out, "Abba, Father!" So you are no longer a slave but a son... And I couldn't help it, the reading from Galatians spoke right to a very old, tender hurt that is currently being beaten upon and I heard Him. "I can heal that, too." I followed Shannon's posts on body image and hated them all because they hurt so much but as I sat there reading her words and hating my body I heard Him. "I can heal that, too." I am afraid of healing because I would rather hide from the pain then deal with it. Healing, it seems to me, means looking at the lies and the wounds and the very deep, old, unfulfilled longings and letting them rage with all their might until they die down like a storm. I pondered to God, "Is this how I am to be fearless? Am I to stand up to the fear and let the pain and sobs and all the feelings come?" 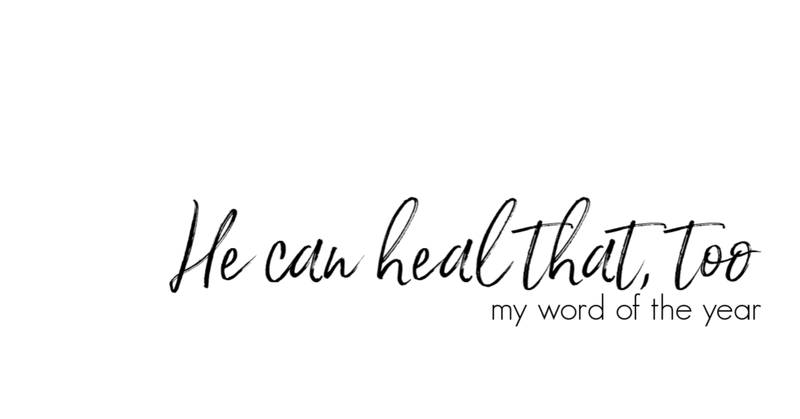 And He said to me, "I can heal that too." I've noticed, and maybe you have too, that I don't hear Him say, "I will heal that," but "I can heal that," which at first seemed a little odd. He is the Father who keeps His promises, so why wouldn't He promise it to me? Right now - and this may change as life happens and things are revealed, but right now - I think it's because He knows and I know that the only way He will heal these things is if I cooperate with grace and allow Him to do so. And I think that's where I need to be fearless, in the places where I am scared I need to trust and let Him in and relinquish it all to Him. As a role model in fearlessness I was given Blessed Sara Salkahazi as my saint of the year. I knew nothing of her when I first read her name, but she was a Hungarian nun, killed by the Nazis for her work hiding, moving, and helping Jews. I am very glad to have been introduced to a woman with such bravery and conviction. She's got some work to do when it comes to interceding for me! This is only the beginning and it feels like I may be on the brink of another rough year. But I am hopeful that soon enough God will bring me to a new place with my heart fortified so satan's stupid lies can cause no more pain. * Further context for why the nightmare was so bad for me: When I was pregnant with my oldest, Lydia, I dreamed I was holding a sweet baby girl and from that dream I just *knew* I was having a girl. When I was pregnant with Ben I dreamed I was holding an adorable baby boy and I just *knew" I was having a boy. And when I was pregnant with James I dreamed that I gave birth to a stillborn baby boy on my bedroom floor. When I told Travis about the dream he said to me, "That can't happen." We never talked about it again, though we both worried and, of course, it is exactly what happened.